In December of 2016, Caitlin O’Hara died. 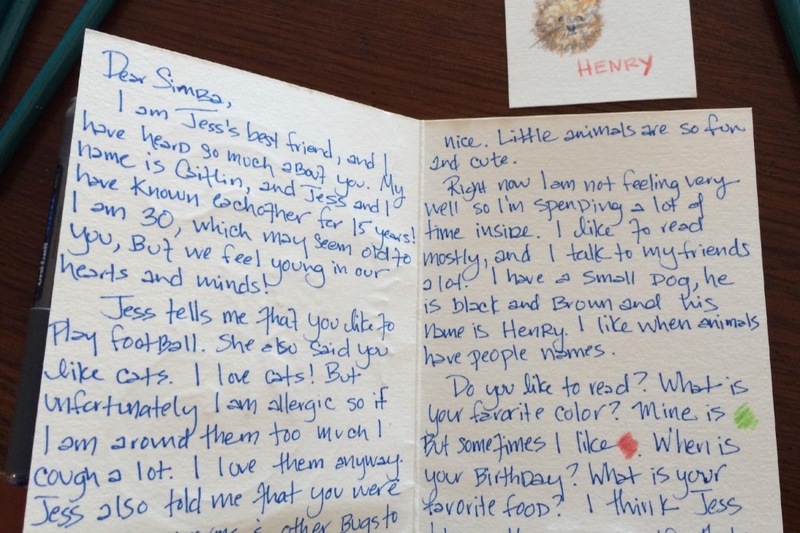 She was thirty-three years old and my best friend. When I spoke at her funeraI, I promised that I would do something extraordinary. I promised that I would make her proud and I promised to keep her light and her spirit alive. Because of my own two and a half year struggle with breast cancer, it took time to put everything together but - despite delay - I am proud to introduce The Leo Project in honor of Caitlin E. O’Hara. WHAT IS THE LEO PROJECT? We are raising $200k which covers the cost of land (approximately one acre), design, and all construction. The 5,000 square foot resource center will include a large communal space, a multi-purpose amphitheatre/stage which can be used for performances, as well as a place to study, four bedrooms, two bathrooms, a kitchen, two offices, and an art supply room. The bedrooms will be for staff, skilled volunteers and emergency housing for children. In late July of 2018, I traveled to Nanyuki, Kenya to secure land. Although the formal agreement is yet to be signed, we came to a verbal understanding with the seller and will hopefully have the land deed in a matter of weeks. We are starting with an acre of land and, if funding permits, will purchase a second. Formal architectural renderings of the structure have been drafted and we are working with the Kenyan-based construction team on next steps. Our goal is to open doors in 2019. Please donate in honor of Caitlin and in honor of the lives that will be changed through The Leo Project. *The Leo Project is in the process of securing 501(c)(3) status and, in the meantime, the venerable Flying Kites is our fiscal sponsor. Donations to this campaign are fully tax-deductible. GoFundMe contributions are processed via PayPal Giving and, upon donation, you will receive a tax-deductible receipt. Caitlin was never able to fulfill her post-transplant dream of throwing on a backpack, flying to Africa, and finally meeting Simba. Through The Leo Project her spirit will live. Like Caitlin, if you have dreamed of traveling to Kenya, please book a ticket. It will change your life. "You think all this is important but all that really matters is loving people and being kind" - Caitlin O'Hara. Simba, age 10. In Swahili, Simba means Lion. 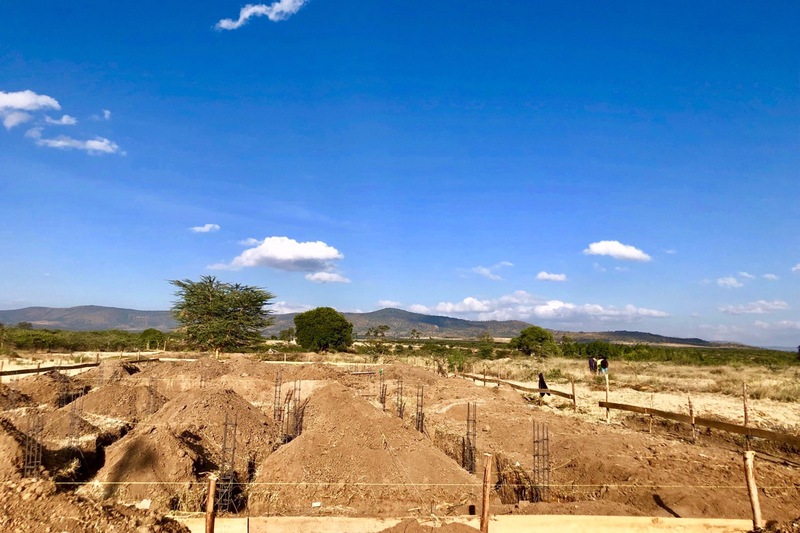 CONSTRUCTION UPDATE: As of today, we have purchased supplies, excavated the site, constructed a perimeter fence and gate, set-up water tanks and poured the foundation for our 4,500 sq. ft. resource center. In March, I will travel to Kenya to work with the construction team and hire two social workers who will begin working with the local community and designing pilot programs that we hope to implement once doors open this summer. Please stay tuned for frequent updates! You can also follow us on Instagram (@theleoprojectkenya). Thank you all for your continued support. UPDATE: A GENEROUS DONOR HAS PLEDGED TO MATCH $50K OF NOVEMBER CONTRIBUTIONS. Please be sure to add "The Leo Project in honor of Caitlin O'Hara" to the check's memo. Flying Kites is a 501(c)(3) organization and, whether online or via check, your donation is tax-deductible. Please help us to spread the word. Thank you in advance! This week we launched The Leo Project's website (and logo)! You can now read more about the organization at www.theleoproject.org. As always, we welcome any thoughts/feedback that you might have. We have now raised the funds to buy land and have almost finalized the design with a Kenyan-based architecture team. As soon as we hit our fundraising goal, will proceed with construction. 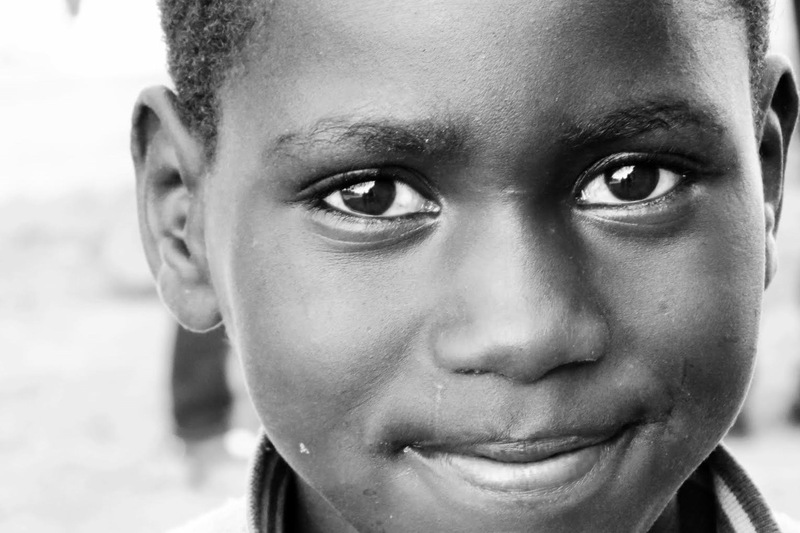 We are hoping to open doors ASAP so plan your trips to Kenya! I spent this past week in Nanyuki, Kenya securing land for The Leo Project. Although the formal agreement is yet to be signed, we came to a verbal understanding with the seller and will hopefully have the land deed in a matter of weeks. We are starting with an acre of land and, if funding permits, will purchase a second. I also received formal architectural renderings of the structure and will be working with the Kenyan-based construction team on next steps. Thank you all for your continued support!